As we integrate our sanctuary ducks within our perennial food system, we practice working with natural succession (the natural progression from grassland to woodland). In our case, hayfields are becoming pollinator pastures combining flowering perennials alongside trees and shrubs. We're seeing smooth bedstraw begin to emerge more widely in this shift. Graziers DON'T like this plant in their hayfields (along with milkweed), and the plant can become somewhat invasive until succession wins out. We encourage the shift from pure grass/legumes to a grass/legume/forb mix--which excels at feeding pollinators, establishing a fungal network conducive to trees, and makes it easier to establish of orchard trees (due to decreased competition with grasses). For anyone who has tried, it is very labor-intensive to establish young trees in grass. We have also discovered that ducks LOVE to eat bedstraw. 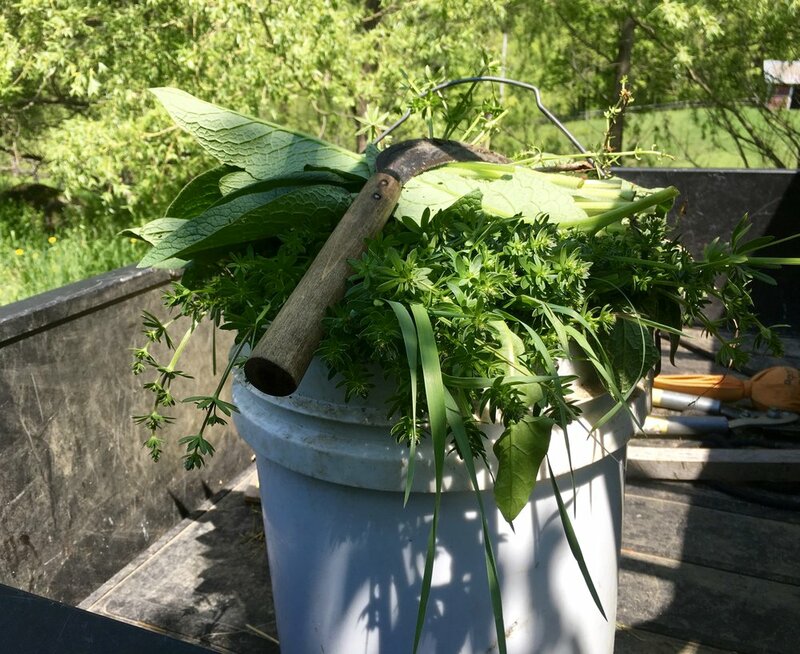 This plant is simple to harvest and transport, and they also eat it within the orchard. So, a win-win for our system and the ducks. Ducks dip greens in their water bowls and strip the leaves from the bedstraw, leaving only the stems. Comfrey and bedstraw are abundant now, and perfect food for ducks!